Midnight Clear is a realistic yet hopeful story about a handful of people who are grappling with severe depression and loneliness on Christmas Eve. They feel hopeless and alone in their own particular way until they run into each other and help each other out in their own particular way. The central thing these people do for each other is be there for one another. They squelch their relational neediness by reaching out to one another. Funny how that works, huh? God built us to need other people, yet we are hesitant to reach out to others. Simply caring for others would benefit everyone, both givers and receivers, so why do we hold back? God gives us ample desire and opportunity to build up mountains of relational wealth, but most of us are too afraid, bitter or selfish to do anything about it. I have witnessed God working powerfully through relationships for people who are courageous enough to follow Him in this area. He helps us to battle through loneliness and depression, but we also have to maintain a courageous faith. The solutions to all neediness in the world is not far off: All we have to do is step out (with the distinct possibility of failing) and care for others according to Christ's example. If we step out in faith to genuinely care for others and persevere in our efforts, He will lead us along and cause us to bear much fruit. This isn't easy but, like I said, I have seen this work out beautifully. Zacchaeus was a chief tax collector and was rich. He was trying to see who Jesus was, but on account of the crowd he could not, because he was small of stature. So he ran on ahead and climbed up into a sycamore tree to see him because he was about to pass that way. And when Jesus came to the place, he looked up and said to him, "Zacchaeus, hurry and come down, for I must stay at your house today." 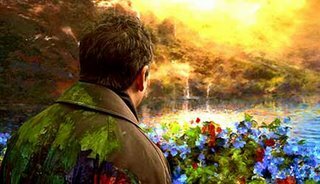 So he hurried and came down and received him joyfully. When other saw this, they all grumbled, "He has gone in to be the guest of a man who is a sinner." And Zacchaeus stood and said to the Lord, "Behold, Lord, the half of my goods I give to the poor. And if I have defrauded anyone of anything, I will restore it fourfold." And Jesus said to him, "Today salvation has come to this house, since he also is a son of Abraham. For the Son of Man came to seek and to save the lost." I hadn't even heard of this holiday movie. It sounds like a poignant and thoughtful film. I'll have to look it up. 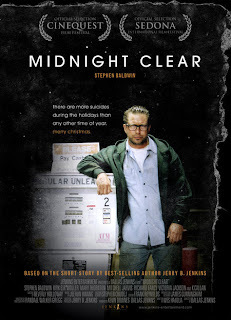 interesting, i haven't heard of midnight clear...sounds like an interesting premise. and i agree on your point about people needing people. we need interdependence far more than independence. I love your blog, I like the simplicity to it, it's fine color, and above all I like the ease with which you speak. Marcus’s story is all about redemption. Redemption is bringing life out of death, injecting value into that which was worthless or producing good out of that which seemed to be pure evil.